Here we are again. Giving you a rundown of what it takes to make this fair little guy arrive in Amsterdam in December. This blog will cover all things related to the latest production of the phone: the achievements, a few challenges, an overview of what the next weeks will bring, and our most recent estimate on the timeline for shipment. In preparing this blog I reviewed our previous blog from September, and during the time in between, so much has happened that I want to share with you all. Keep in mind that this is purely about the product and is not an update of all the other work in social impact, that deserves a post in itself. Things have not stopped in our busy triangle formed by Lisbon (software), Amsterdam (HQ) and Chongqing (hardware assembly). In the following sections, I’ll be describing what we’ve been up to the last months – using some nice techy abbreviations, but also plain English so everybody can figure out what we’re doing. We’ll go into our experiences going from the base Changhong model to our beloved Fairphone, with an updated chipset, camera, image sensor, a better screen and scratch-free glass, with new materials, new software, and a whole lot of other things. Now, on to the details of production! Although we didn’t make a phone from scratch, there were of course a ton of upgrades and alterations we made to make it a special Fairphone. In a technical sense, remember that it was the first time Changhong, our production partner, made a phone for the European market – so there were a ton of tests and certifications to ensure it worked just as it should. Surface Quality TestIn relation to certifications and GCF, those test that need to be passed if you want to sell to the EU market and through network operators. The Global Certification Forum, follows the maxim of “test once, use anywhere,” as a way to facilitate the selection of devices for operators. This works in iterations. In the first iteration our prototype showed issues, that had to be worked out together with the chipset manufacturer, Mediatek. But we managed to resolve these and the device has passed all the tests for final completion in mid-November. Just one fun example: One of the tests measures how fast a device can hand over from one cellular tower to the next antenna tower when travelling and talking at the same time, for example on a train. Other certifications, like CE (for the EU market) and FCC (to be approved for the US, and the rest of the world) were also passed (but fancy this: we had a small lag time in getting the FCC certificate due to the shutdown of US government services!). Yes, we live in a connected system, and some people’s decisions have influences across the world. We also went through a whole trajectory on WEEE (Waste Electrical and Electronic Equipment Directive) to make sure we accounted for the impact the phone would have in terms of its disposal, collection, reuse, and recycling following health and environmental standards. It’s a long procedure that is different in every EU country that Laura will update you on that later, because it deserves a book in itself. In short, our phone has been tested and has passed all certifications needed to run smoothly in the European Union! 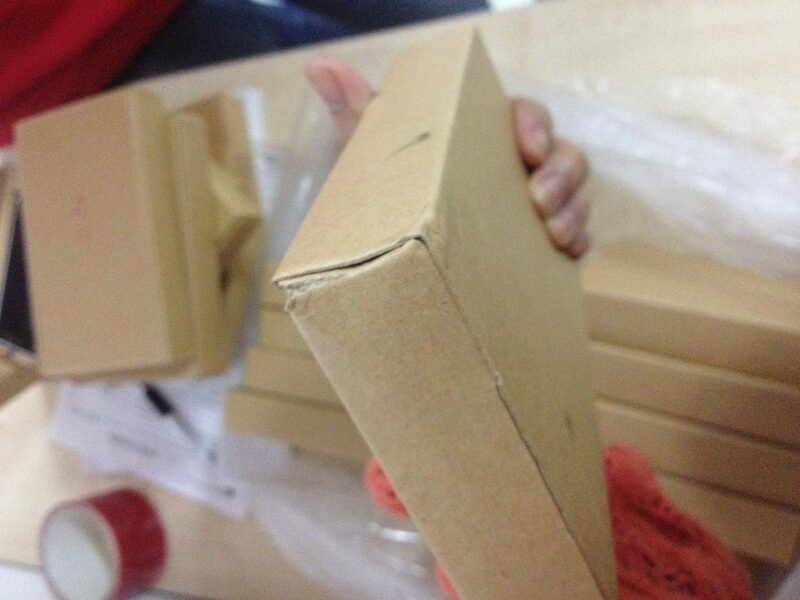 Two of our most precious materials have made it to the factory already. Our AVX capacitors with tantalum sourced through the Solutions for Hope initiative from the North of Katanga (DRCongo) travelled halfway across the world before getting stuck for four weeks in customs a four hour drive away from the factory in Chongqing. Mulan, our Fairphone project manager there, picked these up herself and has been their safekeeper since. As for the soldering paste made of tin from South Kivu, DRC – it has made its way all the way through Bangalore in India, making it to the warehouse in Hong Kong just before the week-long October holidays started in China (when the whole country slows down, families travel across the country to reunite and celebrate. Some conflict-free tin in the form of soldering paste.All safe and snug in the factory, waiting for assembly, these conflict-free materials from the Solutions Network have arrived ahead of schedule. Though tough to acquire, they are easy travellers, which has made it possible for us to focus our attention on other issues. We will be gearing up for final assembly, also called mass production, in November now that our certifications have passed and our materials have arrived, but there are still quite a few things that need to come together before we can start. Basically, these include the final testing of components in our fully working prototype (what’s called in the industry “DVT” and “PVT” – keep scrolling to learn what these mean). The actual arrival (in the right amounts) of these components, for which we rely on other parties. We thought it would be fun for those community members out there who like this sort of thing to give you a short overview of the kinds of issues that we have been dealing with before we continue with what’s to come. Throughout this year, we’ve basically expanded into a multinational team with members of the Fairphone team working on-the-ground with factory members in Chongqing, China. Although we started out as a small, inexperienced phone company, now we’ve grown into a larger team beyond just Amsterdam – especially in terms of the quality team in China, where Fairphone project managers are working on-site to carry out production quality so everything runs smoothly. Of course, we always say that Fairphone is a means to an end, a way to reach a greater goal, but this Fairphone is your smartphone and a product that you should be using for a long time. Besides proving that people shouldn’t have to give up quality for ethics, we want to be as sure as we can that your phone comes off the assembly lines ready and fit for you. Production Issues? Of course. All the juicy stuff. Deliveries. We were worried that the image sensor that makes photos really nice on your camera – and other crucial components like the glass – would not make it to the factory on time. And you’ve probably heard there are hundreds of components (let’s say, exactly 569 on the main circuit board) that go in our smartphone, and that ain’t no joke. Component testing. Imagine that every component needs to pass quality standards (eg, making the vibration mechanism vibrate for more than 100 hours in one go). And no … it is not always successful, so we needed to get the standards right in a fully functioning prototype of all components to give a final go to the suppliers of Changhong to ship (25,000 pieces). Component interaction. Furthermore, a mobile phone is simply a complicated device and finding the root causes of a problem is not always easy even for the Engineers that designed the thing. Each mobile contains components that interact in various ways with each other, and may also interfere with each other. Packaging. We also had other stuff, like a packaging design that didn’t pass the drop test (a big box with 20 smaller phone boxes) being dropped 6 times (one per side) from 1 meter height – it’s very unlikely this will actually happen during transportation of the phones, but we need to prepare for the worst. So yeah, our boxes got damaged, so we had to think of a better design (and a thicker carton). A drop test of one of our packaging boxes. We had another go at it.This is all to say, that building a smartphone really comes down to building a small computer in your pocket. And this powerful machine requires a ton of coordination, testing, and quality checks along the way. The Right Chipset. In the middle of August, we got two phones: these were the first phones with the chipset MT6589M, meaning our software developers, Kwamecorp, could accelerate their process in software optimization. The First Prototypes. At the beginning of September, we got the first prototypes to start validating the design and tweaking some features and a week later we got another set of prototypes, what we like to call EVT (Engineering Verification Test). Design Validation Test (DVT). After that we started what is called DVT (Design Validation Test) which means that we are being as naughty as possible with the phone to make sure that it meets quality standards and that the functionality is thoroughly tested. This includes the laundry list of things you’re not supposed to do with your phones: drop tests, humidity tests, vibration tests… and any other thing that you can imagine. Production Validation Test (PVT). As I write this post the last week of October, we are just a few weeks away to Production Validation Testing. In this phase we are producing 1,000 final-version phones to make sure that all the production systems are aligned before the beginning of mass production. This is where we have extra hands on deck to ensure the quality control of the lines. Software Beta and Final Release. Concentrating on all the hardware issues would almost make you forget the essential software the phone needs to run! Thank goodness for our friends at Kwamecorp, who have been doing all the hard work in terms of software. We got a helping hand from Changhong (remember Johnny?) who flew to Lisbon for 2 months and was also very helpful in the process. They are almost ready with the final image file, which means a final release is estimated for the end of November. Mass Production (MP). Well there we are. For the mass production assembly period, we can give an estimated timeline for the next months. It’s an estimate because we’re still working our way through product validation testing and certifying that that all the necessary components have arrived. At the point where we can confirm that our transportation is booked, we will be announcing the dates and also be telling you more about the details around delivery. As you’ve been reading, many parallel developments come together the closer you get to the final assembly. Some of which have influenced our timeline for the worse, some for the better. As first-time manufacturers, we made a conservative planning back in July (and yes, we used Gantt charts!) to make sure we kept a margin for error. But we have been catching up on this margin while unforeseen problems, issue-fixing and sub-supplier mess-ups take place. Our approach is to continue trimming off days here and there (on transportation for example), without putting extra strain on our production line. But let’s be realistic about the current timeline of the delivery of your Fairphone. We’re working hard to get this phone to you, so we hope it’s clear that we take the urgency of this delivery to our buyers and general community very seriously. In September, as we wrote about an expected December delivery – that gave us buffer space of the entire month of December – our outlook was a best-case scenario where Mass Production could begin late November, and we would have phones to ship the first week of December. While a worst case scenario meant we may not get phones until the end of December. The timeline that we gave in the last blog post accounted for possible delays and unforeseen events, anything from a natural disaster to a missing component from a sub-supplier. Well, an issue did happen: A key element of the screen sub-assembly was ordered well ahead of time, but a major mix-up by the sub-supplier in making its purchase order will cause it to arrive late at the factory (They sold and shipped our stuff to another of their customers by accident. Really.) Thus, this means that we have no more buffer room in our December planning. While we remain optimistic that we’ll stay on track for this intended timeline, having no margins left could possibly mean we would have to deal with a delay beyond this baseline scenario of December delivery. We think it’s better safe than sorry – to make a very preliminary announcement on that possibility. To be clear: Our current estimated timeline is that phones ship from the factory in China in the second week of December. After that, we would start rolling the phones out of our logistics center a few days after that. Ultimately, that would mean a delivery around Christmas. In future posts, we’ll talk about a number of product-related topics, so stay tuned: our SAR rating, our Fairphone protective casing, Kwamecorp’s Fairphone OS, and an optional SIM adapter. From our point of view, it’s a really intense process putting our phone into the market, and we understand it requires a whole lot of patience from our buyers – who so awesomely crowdfunded this project and have been patiently waiting for their phones. We’re proud to have such an engaged community, and that you are still on board in this journey. And remember, this phone is just the beginning. Editor’s Note: In our original post, we used “MTK6589” to refer to the chipset family. 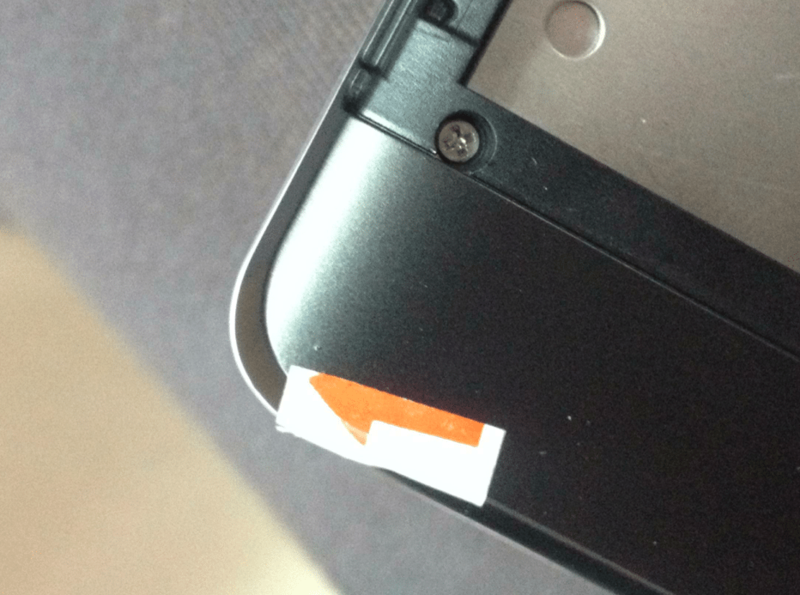 We’ve updated this to “MT6589M” to be more clear on the exact chipset that is used in the first Fairphone.